Mars Express - Solar System Planets And Moons Section. 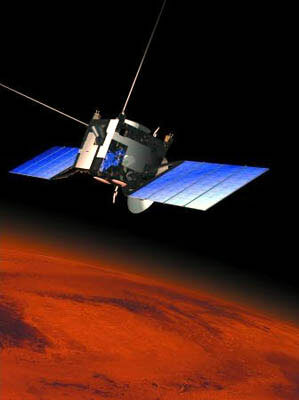 Mars Express measures methane in the Martian atmosphere. Mars Express has measured methane in the Martian atmosphere. Lost in Space: Interview with Greg Klerkx. Scientists consider the discovery of methane in the Martian atmosphere to be one of the strongest indicators of habitable conditions for life. Methane can be produced through both biological and non-biological processes, but it degrades very quickly - it should disappear within 300 years in the Martian atmosphere. So what's producing it? The last period of volcanism seems to be millions of years ago (Olympus Mons was active 100 million years ago). That's doesn't necessarily mean life, though. There could still be volcanic vents gassing methane which haven't been discovered. When the ESA's Rosetta spacecraft reaches Comet 67P/Churyumov-Gerasimenko, it will send down the Philae lander to the surface. Landing on a Comet has never been done, and it's as hard to do as it sounds. The lander will need to be able to deal with any kind of surface, from solid ice to fluffy snow. The comet's gravity is very weak, so the spacecraft could bounce off the surface if it descends too quickly. The lander is equipped with pads that spread its weight over a large area to stop it from sinking into powdery snow. It also has a harpoon that will fire as it gets close to stop the lander from drifting back into space. We'll find out if it works in 2014. Mars Express Confirms Methane Discovery. The European Space Agency has confirmed reports that Mars Express has measured methane in the Martian atmosphere. The presence of methane - 10 parts per billion - was confirmed using the spacecraft's Planetary Fourier Spectrometer (PFS), which can detect the chemical in trace amounts. This isn't a lot of methane, but it has to be produced by some ongoing process such as volcanoes... or by life. The spacecraft will continue to measure the presence of methane in the atmosphere, mapping out the planet to find where it's concentrated. This will help to confirm or rule out volcanic gasses.